This book examines the needs, aspirations, strategies, and challenges of transnational Muslim migrants in Europe with regard to family practices such as marriage, divorce and parenting. Critically re-conceptualising ‘wellbeing’ and unpacking its multiple dimensions in the context of Muslim families, it investigates how migrants make sense of and draw on different norms, laws, and regimes of knowledge as they navigate different aspects of family relations and life in a transnational social space. 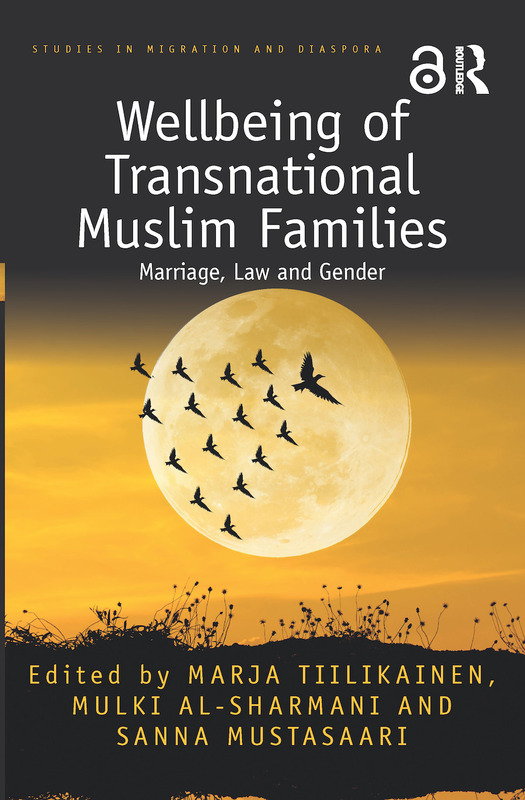 With attention to issues such as registration of marriage, civil versus religious marriage, spousal roles and rights, polygamy, parenting, child wellbeing, and everyday security, the authors offer national and comparative case studies of Muslim families from different parts of the world, covering different family bonds and relations, within both extended and nuclear families. Based on empirical research in the Nordic region and further afield, this volume affords a more complete understanding of the practices of transnational migrant families, as well as the processes through which family relations and rights are negotiated between family members and with state institutions and laws, whilst contributing to the growing literature on migrant wellbeing. As such, it will appeal to scholars of sociology and social policy with interests in migration and transnational communities, wellbeing and the family. Marja Tiilikainen (PhD, Docent) is a Senior Researcher at the Migration Institute of Finland. Mulki Al-Sharmani (PhD, Docent) is a Senior Lecturer of Islamic Theology at the Faculty of Theology, Study of Religions Unit, University of Helsinki, Finland. She is the author of Gender Justice and Legal Reform in Egypt: Negotiating Muslim Family Law; the editor of Feminist Activism: Women’s Rights and Legal Reform;and the co-editor of Men in Charge? Rethinking Authority in Muslim Legal Tradition. Sanna Mustasaari is a Postdoctoral Researcher at the Faculty of Law, University of Helsinki, Finland.